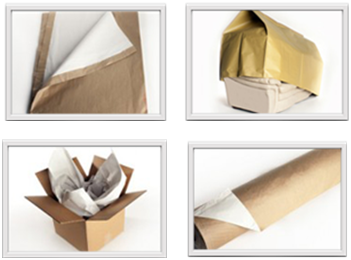 Fleenor Paper is a leading manufacturer of environmentally friendly packaging. Although we work with many industries, servicing the moving and storage industry is what gave us our start and continues to be a large part of our business. 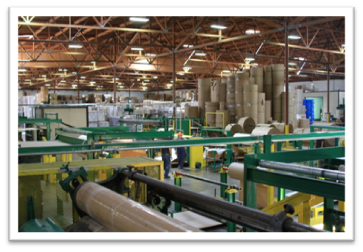 One of our specialties is manufacturing paper blankets for international relocations. With manufacturing plants nationwide and a network of distributors, Fleenor has the ability to design and deliver custom products in pallet quantities anywhere in North America. Due to this footprint, we can efficiently ship out of any US port to better service our overseas customers. The company was established in 1962 by LeRoy Fleenor. While working as a typesetter and printer for a local newspaper company, he noticed a salvaging opportunity to utilize “waste paper” bring thrown daily into dumpsters. Reminiscent of other entrepreneurs, LeRoy started his business in his garage where he converted this scrap paper into sheeted newsprint using a homemade sheeter that used his wife’s carving knife as the blade! Soon he sold his first pallet of paper, founding Fleenor Paper Company. By the late 1970′s, LeRoy had acquired or constructed several other machines to service the moving, printing and packaging industries throughout Northern California. Over the last 50 years, in addition to our Northern California location Fleenor has added manufacturing facilities in Southern California, Texas, Georgia and New Jersey and has established a distribution network throughout North America including Alaska and Hawaii. Today Rebecca Fleenor and John Rochex, the second generation, run the company with the same spirit and innovation that shaped the company in its beginning. Fleenor Paper Company’s green company logo is far from a meaningless symbol. Starting with LeRoy, it has been Fleenor’s priority to create packaging solutions utilizing paper that would otherwisebe disposed of as waste or as a recycling element. Our goal is to find another function for the paper BEFORE it gets re-pulped and recycled. We are happy to report that over 90% of everything Fleenor produces is made with some type of recycled or reused material. Additionally, many of our products can be used more than once, and then, when it is finally time for them to be disposed of they can easily go into the recycling stream. 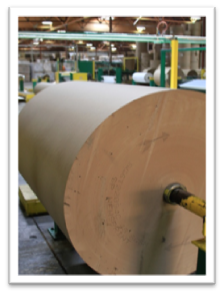 Fleenor Paper Company has always worked hard to purchase its raw materials from secondary or “cull” markets. 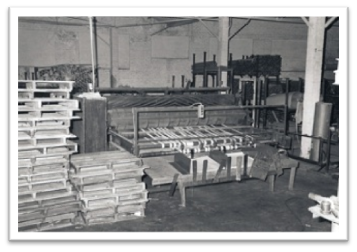 All of the dunnage products we sell at Fleenor (sheeted paper and newsprint used for packaging) are made from paper that that was originally intended to be used in the printing industry but was rejected for various reasons such as basis weight or color variations to roll damage. These reasons cause the paper to be unsuitable for use on high-speed printing presses but do not cause problems for use in the packaging industry once the paper is converted. This “reuse” philosophy is actually better for the environment than if we were to use new recycled paper to produce our product. Our method needs no energy or chemicals to re-pulp the rejected paper to make new paper. We only use paper cutting and converting equipment to remove non-viable paper. This unused paper is then baled and sold to waste dealers for recycling. At Fleenor we are constantly looking for ways to reduce our carbon footprint in our facilities. For example, by having multiple manufacturing plants located across the country, we shortened the distance our trucks travel to distributors and ports. Additionally, Fleenor facilities have installed special energy efficient lighting and skylights as well as having begun the process of phasing out our propane forklifts with electric lifts. For our customers, our products are some of the most economical and environmentally friendly packaging solutions out there. The range of materials that we use to manufacture our product gives customers a multitude of options – without having to compromise consistency. By using our network of distributors, a client with multiple locations can get the same product in all of their locations while cutting down on fuel cost and emissions. In addition, those distributors that are in the Fleenor network also contribute to the reuse and recycling stream and do their part to be “green” organizations as well. As the current owners honor and emulate the entrepreneurial roots of LeRoy Fleenor, we continue to purchase scrap paper and develop processes to better utilize this paper supply. However, we never forget what really made our company special and enduring: our people. Most of our managerial staff has been with the company for more than twenty years, and are key contributors to Fleenor’s success and growth. At Fleenor Paper Company we take pride in our devoted employees. Their loyalty and hard work speaks volumes to the vision and values of the company.